The Trump administration plans to allow hunters to import trophies of elephants they killed in Zimbabwe and Zambia back to the United States, reversing a ban put in place by the Obama administration in 2014, a U.S. Fish and Wildlife Service official confirmed to ABC News today. Even though elephants are listed as endangered under the Endangered Species Act, a provision in the act allows the government to give permits to import these trophies if there is evidence that the hunting actually benefits conservation for that species. The official said they have new information from officials in Zimbabwe and Zambia to support reversing the ban to allow trophy hunting permits. This change only applies to elephants in those two countries but questions about using game hunting to generate money for conservation efforts also came up during the controversy after Cecil the lion was killed in Zimbabwe in 2015. The government has not actually announced this policy change yet but it was reportedly announced at a wildlife forum in South Africa this week, according to Safari Club International, which filed a lawsuit to block the 2014 ban. A notice regarding this change will be posted in the Federal Register on Friday with more specifics on what new information justifies the changes. The finding applies to elephants hunted in Zimbabwe on or after January 21, 2016, and on or before December 31, 2018, and elephants hunted in Zambia during 2016, 2017 and 2018 for applications that meet all other applicable permitting requirements, according to Fish and Wildlife spokesperson. 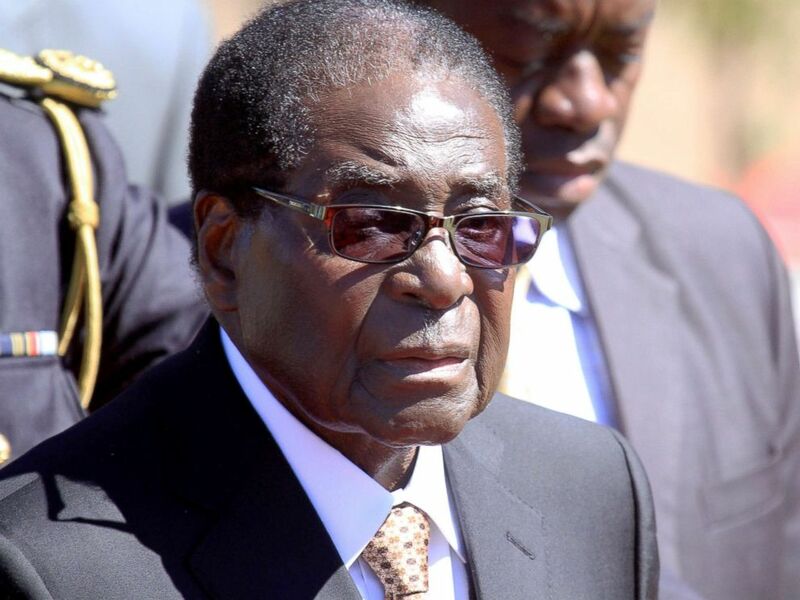 Zimbabwean President, Robert Mugabe, attends the burial of Major General Bandama who died after a short illness at the National Heroes acre in Harare, Zimbabwe, July, 17, 2014. The Fish and Wildlife Service has been talking with wildlife officials in Zimbabwe since the ban was announced in 2014. Since then, Zimbabwe officials have stepped up efforts to combat poaching, established a system to report financial benefit from American hunters, and provided more information on how officials establish hunting quotas, according to the text of the federal register notice that will be posted Friday. The census reported around 82,000 elephants in Zimbabwe. Wildlife officials set annual quotas limiting hunting there to 500 elephants in different areas. Elephant hunting has been banned in Zambia several times over the years due to declining population size but was re-established in 2015 after surveys found a larger population in some areas. Zambia is home to some 22,000 elephants, according to the census. Tourists can hunt elephants on private game ranches or specified areas in Zambia, many of which are on the outskirts of national parks. Zambian officials also carry out anti-poaching efforts and manage elephant hunting through permits and quotas, according to the Federal Register notice. In 2016, 30 elephants were allowed to be killed there as trophies but the government reported that only 12 males were killed, according to the notice. Fees paid by hunters are also used to fund the country’s conservation efforts.